A board-certified foot and ankle physician, Gregory Amante, DPM, is a senior specialist at the Century Medical and Dental Center in Brooklyn. He’s been practicing podiatry since 2000. In all that time, there are few injuries and ailments he hasn’t seen, so no matter what your medical issues are, Dr. Amante can help you heal. Dr. Amante also gives emergency and inpatient consult service. He offers foot care treatment advice to prevent foot problems from occurring in the first place. But even if you’re not an athlete, he can help you avoid future injuries. After receiving his Bachelor of Science degree from State University of New York, Dr. Amante attended New York College of Podiatric Medicine, where he earned his DPM degree. Afterward, he completed two residencies in podiatry at the Wyckoff Heights Medical Center. He also completed a fellowship in podiatric surgery at the Brooklyn Hospital Center. 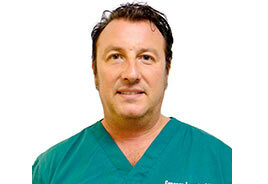 He currently works as a respected podiatry specialist the in Century Medical and Dental Center. Since 2008, he’s been a full-time attending podiatrist at the Coney Island Hospital. He is a proud member of the American Podiatric Medical Association. He’s fluent in English and conversational in Spanish. Come in to see Dr. Amante for the best foot and ankle care in Brooklyn.